Created and starring Ricky Gervais Derek has proved a big success. It is a series which has no set genre. As Ricky has said himself before, if it makes you laugh it’s comedy, makes you cry it’s drama. And if both happen then it’s like real life. These are not the funny lines, or the saddest or anything like that. They are a mix of lots of lines from the show which hopefully sum it up nicely. Derek is mockumentary style TV show written, directed and starring comedic actor Ricky Gervais. 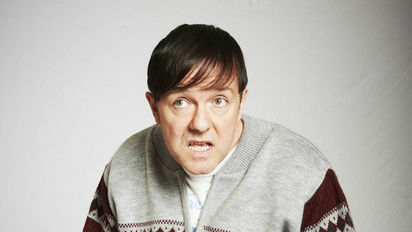 The title character, played by Gervais, is a naive 49-year-old who is a care worker for a nursing home. Derek is ridiculed for his lack of intelligence and social awkwardness but he shows great affection for those around him. The series follows his friends and fellow co-workers and displays how they are ostracised for their positions in life while also showing their kindness in caring for the elderly. The group includes Hannah, the dedicated runner of the home who has worked there over a decade. Derek also spends time with his friends Dougie, who is an unattractive caretaker and Kev, who does not work but spends time watching the others while telling lewd jokes and generally being obscene. They spend their days entertaining the residents and at times fighting to keep the home open as those in their care come and ultimately go. Derek first aired in April 2012 in Britain on Channel 4 as a pilot. A full series was commissioned, which began airing in January of 2013, then aired in September of 2013 on Netflix streaming and has been recommissioned for a second series.